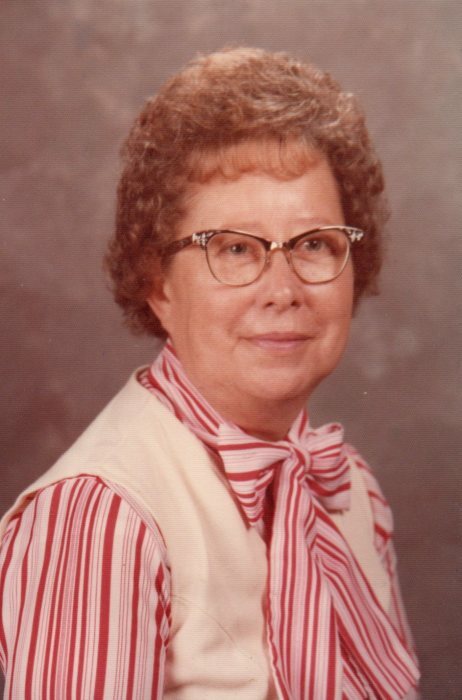 Earlene Sissom Williams, 95, passed away Mon., March 18, 2019 at Woodbury Health and Rehab. She was a native of Cannon Co.
She is survived by her daughter, Linda (Tony) Parker of Bradyville; granddaughters, Tiffany (Todd) Gannon and Whitney Parker all of Murfreesboro; and several nieces and nephews. She was preceded in death by her parents, Hobert and Lellia Duke Sissom; her husband, Joe W. Williams; daughter, Joann Williams; brother, Eugene Sissom and Sister, Lurlia Sissom. Ms. Williams was a member of the Simmons Chapel Free Methodist Church and a retired school teacher. She taught at Hollow Springs school and Woodland Elementary until she retired. She enjoyed reading, crocheting and sitting on her front porch. Funeral Services will be 2 pm Thursday, March 21, 2019 in the Chapel of Woodbury Funeral Home with Bro. Bobby Wheeler and Bro. Josh Huff officiating. Interment will follow in Gilley Hill Cemetery. Visitation with the family will be from 3 pm to 8 pm Wednesday, March 20, 2019. In lieu of flowers, donations may be made to the Simmons Chapel Free Methodist Church.